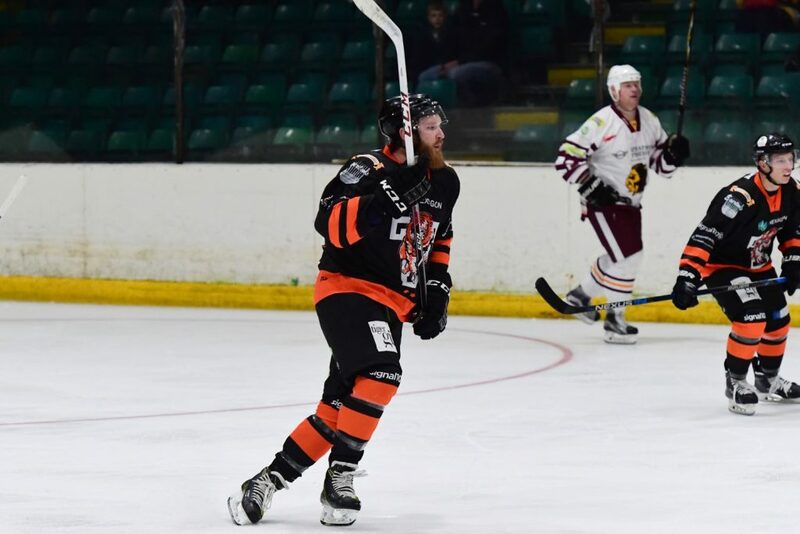 Whitley Warriors endured a 7-1 defeat against Telford Tigers on Sunday evening, having yet to take a point from Tom Watkins’ team this campaign. 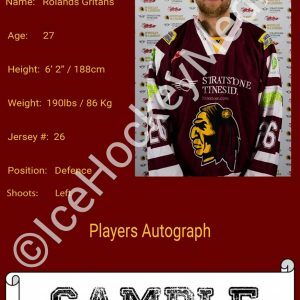 Boasting a line-up of nineteen skaters, which included recent signings Rolands Gritāns and Phil Edgar, Whitley Warriors opted for netminder Jordan Boyle between the pipes as they faced off against Telford who travelled to Hillheads with Canadian Doug Clarkson, experienced Captain Jason Silverthorn and spirited forward Andrew McKinney in their ranks. A quick start for the Warriors saw forwards Callum Watson and Kyle Ross work with left winger Ben Campbell in their efforts to break the deadlock but shot stopper Denis Bell remained composed to absorb this early pressure in spite of Whitley’s frantic play. Whilst the Warriors were persistent in offence, Gritāns made his presence felt from the outset with a big hit on Tigers’ forward Jack Watkins to ensure the momentum remained with the home team. 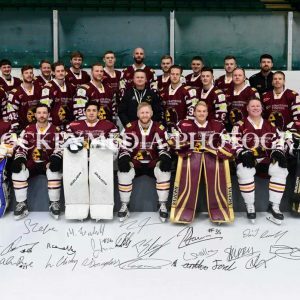 Reaping no reward from their attacking play, Whitley conceded on 5:15 when Telford’s Alternate Captain Jonathan Weaver took control of the puck to link up with Warren Tait whose swift pass to fellow forward Jack Watkins instantly paid off for the Shropshire outfit. Undeterred, the Warriors strove to level the scoring without success when forward Ben Richards shot the puck over Bell’s net from the left circle in Telford’s defensive zone. Gaining possession, the Tigers skimmed the puck across the face of Boyle’s crease to worry the Warriors and it was not long afterwards that Clarkson doubled his side’s lead; McKinney receiving a pass from defenceman Joseph Hazeldine to assist his teammate. Battling on in spite of their deficit, the Warriors continued to pose a threat to the Tigers and were subsequently awarded an advantage when Watkins tripped Shaun Kippin to halt the forward’s offensive work. With Whitley’s power play unsuccessful, Telford returned to full strength and seemingly beat Boyle for a third time when Clarkson’s shot pinged against the metalwork but no goal was given. It was not long after that Clarkson made it 3-0 though, the Canadian scoring on 18:37 as he casually fired past Boyle courtesy of McKinney and forward Adam Taylor to allow his team to file from the ice with a comfortable lead. 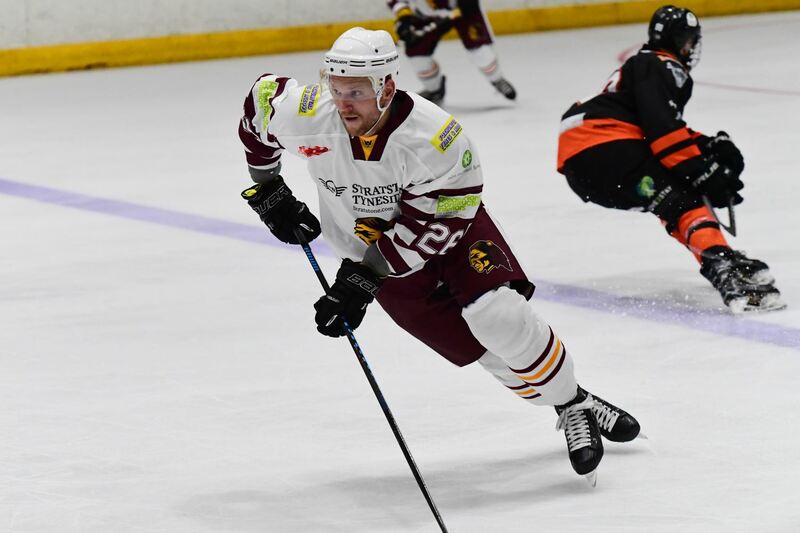 Any hopes of Whitley getting back into the game diminished early in the second stanza when Telford’s fast play resulted in Silverthorn punishing a defensive error to assist seventeen-year-old defenceman Daniel Mitchell. 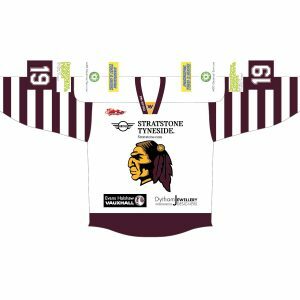 With Telford very much on the front foot in this period, the Warriors struggled for possession and were repeatedly forced into defence to protect netminder Boyle from Telford’s relentless offensive play. As such, Whitley were soon trailing by five goals as Clarkson collected the puck from Taylor to pick out McKinney who found time and space in the centre of his offensive zone to execute a shot which looped beyond Boyle, causing the netminder to be replaced by shot stopper Richie Lawson on 27:21. This goal was closely followed by a tripping penalty for Gritāns but, preventing the Tigers from scoring on the power play, Whitley went on to hound Bell. First, the puck trickled to defenceman Liam Smedley whose blue line shot came close whilst Captain Dean Holland worked with Campbell to stretch Telford’s defence and forward Ross Douglass chased down a chance of his own which Bell extinguished. Kippin then gathered the puck to shoot wide of his mark but the Warriors would not let up and came close to scoring ahead of the break as Watson’s rebounded shot was pounced on by forward Ryan Sample before Bell calmly made the save to allow Telford to head in with a 5-0 lead. Just fifty five seconds into the third period, Clarkson achieved his hat trick in spectacular style, shooting from Whitley’s goal line to beat Lawson from a tight angle. Whilst a bench minor for Telford provided the Warriors with a chance to get onto the scoresheet, the home team could not beat shot stopper Bell on the power play. 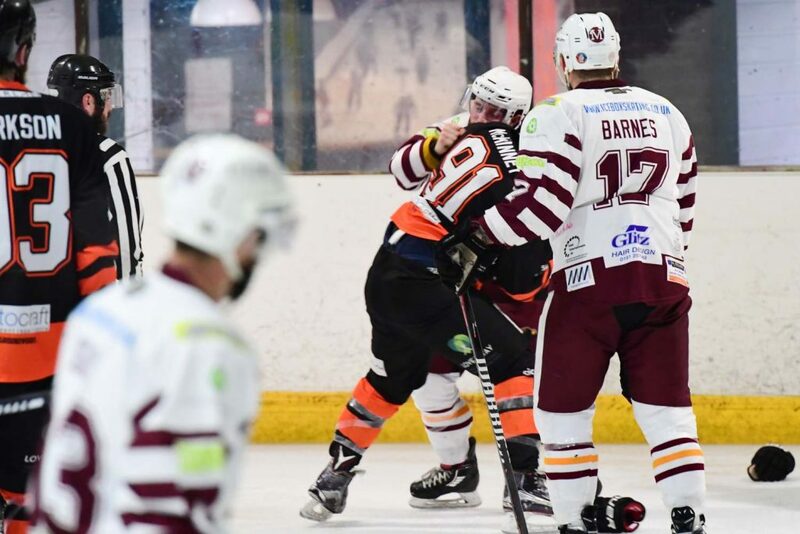 Continuing to work Telford’s defence, young forwards Douglass and Jamie Ord were industrious for the Warriors, although they were unable to present their team with the goal they were searching for. However, Whitley finally found the net on 51:02 as Player-Coach David Longstaff passed the puck to Kippin who buried his shot; Alternate Captain Jordan Barnes also assisting. 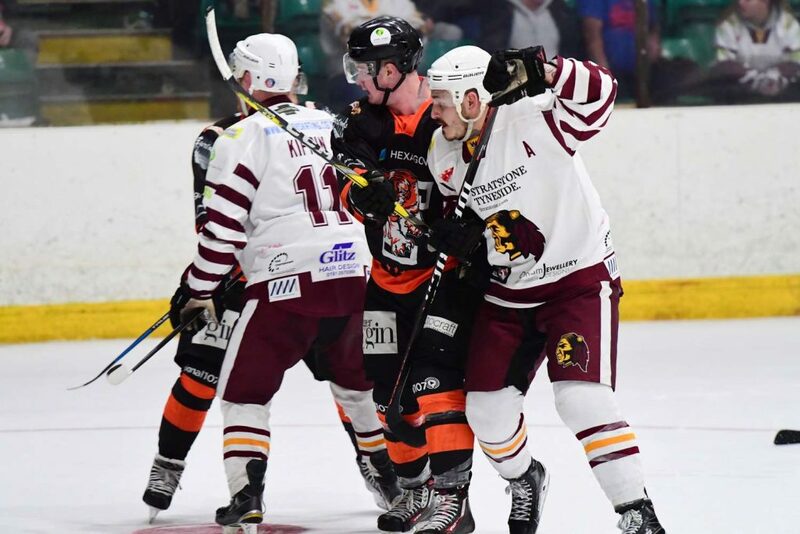 Sensing that they could achieve a second goal having made it 6-1, Longstaff’s line-up continued to challenge Telford but not as frequently as the Tigers troubled Lawson who encountered twenty shots in the final period in comparison to the seven shots faced by Bell. Telford’s defenceman Hazeldine then earned himself an interference penalty after a strong hit on Richards but Whitley’s fruitless power play saw Clarkson achieve his fourth goal of the evening shortly after his team’s return to full strength, with support arriving from McKinney and Weaver. Telford’s goal celebrations were then immediately interrupted by a fight between McKinney and Warriors’ Alternate Captain Sam Zajac who grappled before making their way to the sin bin to serve penalties of 2+2 for fighting with just over one minute remaining in the game. With this the last of the action, play fizzled out to confirm Telford’s 7-1 win and Whitley’s third defeat to the Tigers this campaign. Having so far achieved five points from ten league games, Whitley Warriors will be in action again next Sunday when they take on Nottingham Lions at the National Ice Centre from 5:30 pm.